Mary Carpenter Davis: Bio & Choral Music | Santa Barbara Music Publishing, Inc.
Mary Carpenter Davis, composer-in-residence and collaborative pianist for the Northfield Youth Choirs, is finishing her second decade with the Northfield Youth Choirs. 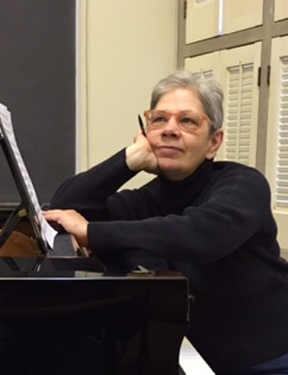 In addition to her work with young singers, she is the performance librarian at St. Olaf College and is active as a piano teacher, collaborative pianist and church musician. Mary Carpenter Davis has 2 titles published with Santa Barbara.